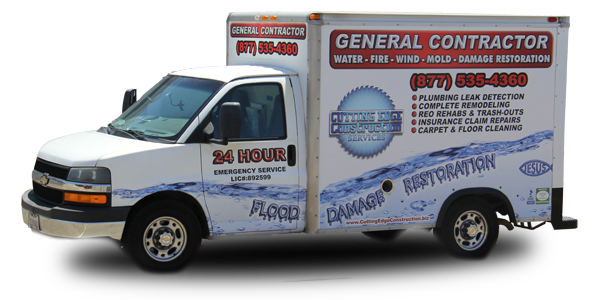 Need mold remediation? You can find lots of instructions on how to remove mold on the web, but they apply only in limited circumstances. And those limitations aren’t always explained. If there are any doubts, don’t risk letting a mold problem become a health problem. Safe black mold removal involves learning a lot more than you can from a few videos. We’re often asked about the terms mold removal vs remediation. Even professionals often use those terms, as well as “abatement,” interchangeably. But we generally use “removal” to refer to physically removing mold and its spores and “remediation” for accompanying preventive measures. There’s rarely a need for expensive testing. All species cause damage and have some degree of health risk, so if you have mold growth just get rid of it. But there may be more of a problem than you can see. Since it’s a type of fungus it can grow in complete darkness, inside building cavities you don’t even know to exist. That’s why a professional inspection is well worthwhile. 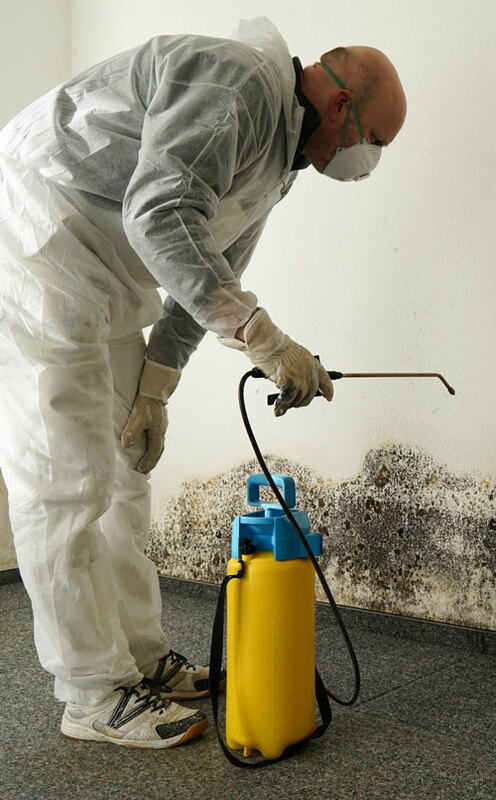 Whether performed by a professional or yourself, for residential or commercial buildings, the basic mold remediation process remains the same. But the bigger the problem the more extensive the preparation, removal, and abatement measures must be. The first step is to find and correct the source of moisture that leads to the infestation. Otherwise, there will soon be another. But it’s actually best to proceed to removal before the mold has dried out and burst into spores. Next, the contaminated area needs to be isolated, typically by taping plastic sheeting across door frames and other openings. It may also be necessary to set up the negative-pressure exhaust, meaning that air is always pulled in to the work area then exhausted outdoors. Special air scrubbers may also be needed to actively filter out contaminants. Those scrubbers may also be run before and after mold removal. Everyone needs personal protective gear. That means a respirator or face mask specifically rated for mold spores, plus gloves and other coverings for the arms and legs. Several steps than actually remove mold, spores, allergens, and toxins. The first is usually vacuuming surfaces using a vacuum that has a HEPA filter (high-efficiency particulate air filter — otherwise contaminants just blow back out through the other end of the vacuum). Next comes removal through scrubbing or other mechanical means. Affected materials such as carpet and pad, baseboards, trim, drywall, and acoustic tile must be completely removed. Beyond removal, mold remediation often includes additional measures to get rid of wider contamination and reduce the likelihood of future problems. These include anti-fungal treatments that are both safer and more effective than home remedies. We also have special equipment to permanently get rid of all musty odors, and our crews can complete any needed repairs and replacements. The EPA indicates that small outbreaks can be handled by building maintenance staff and homeowners. But as the area affected approaches a few feet across and beyond, more and more stringent measures need to be taken. For more than 10 square feet it’s best to call in professionals. DIY guides commonly describe using water and ammonia, baking soda, bleach, borax, detergent, hydrogen peroxide, or vinegar as a way to kill mold. (Never mix these together as there may be nasty chemical reactions). Any of these may discolor or otherwise harm certain materials, and considering the fumes of ammonia and bleach, these should be avoided except for very small areas. Borax is often the most effective, while vinegar or baking soda is usually handy. These various solutions have lasting effects only on non-porous surfaces such as fiberglass (often used to make tubs and shower stalls) and tile. Mold sends out long tiny root-like structures. They’re often not killed and thrive on the new source of moisture. Most importantly although you may have killed the spores, mold toxins and allergens remain. There’s still a health risk!